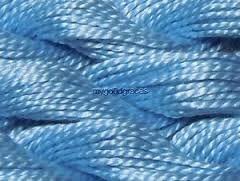 DMC Perle Cotton thread is highly mercerized, lustrous 100% cotton thread on a twisted skein. 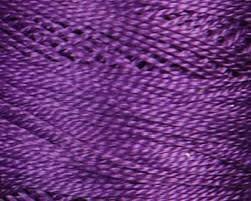 Size 3 is available in 16 yard skeins and is perfect for needlepoint, embroidery, creative stitchery and works well on plastic canvas. 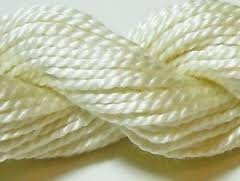 Size 5 is available in 27 yard skeins and is ideal for cross-stitch, embroidery, needlepoint, hardanger, blackwork, redwork, punch needle, pulled thread, smocking, applique and many types of creative stitchery.